BehindMLM first reviewed Alphay International back in January of 2012. My biggest criticisms of the Alphay opportunity at the time were the ridiculous affiliate membership costs (up to $2467), and a generally restrictive compensation plan. It was first brought to my attention that Alphay International had made changes to their compensation plan in January of 2014. I promptly flagged our Alphay review for an update, only to discover Alphay had ceased offering a copy of their compensation plan on their website. Making a note of it in BehindMLM’s published review, I left it at that. A reader informed me mid last year that Alphay were once again providing their compensation plan on their website. Having flagged the review again for an update, I sussed out the new compensation plan and discovered it was indeed significantly changed. Today we take a look at those changes, along with a complete review and evaluation of Alphay’s current compensation plan. There are twelve affiliate ranks in the Alphay International compensation plan. To qualify for MLM commissions, all Alphay International affiliates must meet a 50 PV a month requirement. Binary commissions require 50 PV to have been generated over a rolling four-week period. PV stands for “Personal Volume” and is sales volume generated by retail customer orders (counted at 80%) and an affiliate’s own purchase of product. A retail commission of up to 25% is available on the sale of Alphay International products to retail customers (non-affiliates). The First Order Bonus is a 15% bonus commission on the first order placed by newly recruited affiliates. New positions in the binary are generated by splitting positions on the previous level into another two positions each, with positions on both sides of the binary filled via the direct and indirect recruitment of new affiliates. Sales volume across both binary sides is tracked weekly, with Alphay affiliate paid up to 20% on sales volume generated by their weaker binary leg. If any level 1 affiliates recruit new affiliates of their own, they are placed on level 2 of the original affiliate’s unilevel team. Alphay International cap payable unilevels at ten, with affiliates paid a percentage of sales volume generated on each level of their unilevel team. The Unilevel Matching Bonus pays a bonus percentage on the unilevel commission earnings of recruited affiliates. The Generational Bonus allows Alphay International affiliates to earn beyond the initially offered ten unilevel levels. The Generational Bonus pays out via “generations”, with a generation defined when a Key Master or higher affiliate is found in a unilevel leg. This Key Master or higher ranked affiliate closes off the first generation, with the second generation beginning after them. If another Key Master or higher ranked affiliate is found in that unilevel leg, the second generation is capped off and the third then begins. If no additional Key Master ranked affiliates exist, the current generation extends down the full length of the unilevel leg. Commissions are paid out as a percentage of sales volume generated in a generation, with an Alphay affiliate’s rank determining how many generations they can earn on. The Rank Achievement Bonus is a one-time cash bonus paid out when Alphay International affiliates qualify at Emerald of higher ranks. Alphay International reward affiliates with a Car Bonus at the 2 Star Key Master rank. At the 2 Star Key Master rank, Alphay recognizes your dedication and exemplary leadership with a Car Bonus. This is not a lease, it is a clear title to a brand new Alphay Audi. Emerald and Key Master or higher ranked affiliates also qualify for leadership summits. Again, no specific information about these summits is included in Alphay’s official compensation plan material. Aphay International affiliate membership costs are not disclosed on their website. The primary difference between these packs is residual binary commission rates and products included with the packs. Alphay International’s current compensation plan is a pretty decent improvement from their last, but it’s still not without some glaring compliance issues. The most prominent is the use of “pay to play” to set binary commission percentage rates. The more an Alphay affiliate spends on their first order, the higher a commission they are paid. Otherwise an affiliate is looking at a long road to the Ruby rank, just to earn the base 15% binary commission. The notion that an Alphay affiliate going to build a downline that generates 7000 GV a month without binary commission qualification however is ridiculous. Quite obviously the vast majority of affiliates are going to self-qualify for binary commissions via an incentivized initial purchase, which is clearly play to play. In MLM an affiliate’s commission rates should always be determined by sales performance, as opposed to how much money they themselves spend. 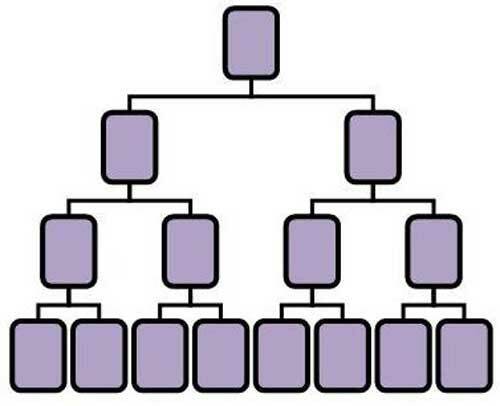 Regulators also use pay to play as an identifiable element in determining whether an MLM opportunity might be operating as a pyramid scheme. A broader lack of retail sales incentives in Alphay is compounded by the penalty retail sales volume brings. For reasons unknown, retail sales only contribute to PV at a rate of 80%. An affiliate’s own purchases meanwhile are counted at 100%. Purely on percentages, Alphay International appear to wholly encourage an affiliate purchasing their PV requirement each month. These two standout compliance issues are a shame, with Alphay otherwise offering up a much deeper compensation plan. The lack of disclosure regarding Alphay International affiliate costs is also disappointing. The combination of a unilevel and binary as primary commission generators is impressive, as usually the two only compliment eachother through a matching bonus (binary pays residual, unilevel is used to match). All in all though I feel the initial pay to play incentive will likely set the culture of Alphay affiliates, with that being a focus on recruitment of new affiliates. These affiliates place a large initial order for binary commission qualification, and then satisfy their monthly PV requirements via autoship. Retail is possible but unlikely, given the lack of retail sales qualifiers or incentives (again I bring up the 80% counted volume disincentive). An improvement from 2012 definitely, but still a ways to go. Thank you for this update, Oz. This isn’t correct. Your binary volume is included in your monthly GV total, regardless of your binary commission bonus level. So getting to 7,000 Ruby Pin Rank, for instance, will occur just as fast, no matter which level of binary commissions you come in at. For clarity: Binary commissions only refer to the commissions you earn from the First/Upgrade Orders that occur each week. That commission level is determined by your own First/Upgrade Order size. At a $249 order, you get 5% binary commissions; at $499, 10%, and at $999 worth of product in your First/Upgrade Order, you get 15% commission. This is a one-time purchase. For instance, I came in at that highest level, 15%, by purchasing the $999 worth of product in my first order. I did pre-sell about $600 of it to people who wanted to try out the lingzhi formulas. But this was a one-time purchase that I made 5 years ago. I never have to do that again. I only stay Active each month with 50 points worth of product between my own purchases and my customers, and I earn those 5 checks every month. This is true, and it’s why I suggest to Distributors to do what I did: pre-sell and get pre-orders from people in your initial order. That way, Distributors can come in a higher earning, and have it cost just a couple hundred dollars. Again, it’s a one-time purchase. Alphay International appear to wholly encourage an affiliate purchasing their PV requirement each month. To earn commissions, Alphay Affiliates/Distributors only need 50PV to stay active each month. That’s the equivalent of one single bottle of lingzhi, or $69 a month, or four $18 boxes of organic coffee. If a Distributor isn’t using at least a single bottle every month themselves to get the huge physical and mental benefits that come with lingzhi, they’re probably in the wrong company. But to the point: the PV requirements each month are extremely small. Also, PV can come from either ones own purchase, or any customers’s purchases. Meaning that a Distributor can stay full Active status and never have to buy their own lingzhi for their own usage. It’d be crazy to do that, but it’s quite and easily possible. Thanks again, Oz. I appreciate what you’re doing. If you don’t buy binary commission qualification, Ruby is the first rank you earn binary commissions on. That requires 7000 GV a month and you’re not receiving binary commissions until that’s reach. That by design is going to encourage buying of commission qualification by Alphay affiliates, which will in turn likely carry over with monthly autoship. This will discourage retail and keep focus on monthly autoship recruitment. That commission level is determined by your own First/Upgrade Order size. That’s pay to play and is a regulatory compliance issue. Still pay to play though, regardless of what you do with products after you’ve purchased them to qualify for commissions. Which drives home the point that if an equivalent 50 PV or more in retail sales isn’t being made each month, Alphay is likely operating company-wide as a product-based pyramid scheme with little to no retail activity taking place. Actually, it’s a lot higher than that. if you don’t purchase any product at all in your first 2 month, the first rank that gives you binary commissions for free is 50,000GV, which is Diamond. Not Ruby/7000. – Most of an Alphay’s commissions comes from the unilevel, not the binary. I have Distributors at 0% binary commissions earning $4000/month, all from their unilevel, none from the binary. Remember, the only part of the binary in Alphay deals with the first order. Some some entire legs, who feel the same about this no initial investment business approach, their first orders are a box of $18 organic lingzhi coffee. So in those legs, the binary commissions is fairly moot. There’s no money to be made in a binary because there’s no large first order. These legs make commission then only on the retail, customer, or repeat orders, and they’re doing quite well. It’s a valid and healthy business model. – There is no connection between choosing a start Pack of products and choosing whether to be on monthly autoship or not. One does not have any bearing on the other. – Pre-purchasing 4 bottles during one order in the first 8 weeks (allowing them to sell it at retail locally) gives a Distributor access to binary commissions. So far, we’ve found that not a big hurdle for most Distributors, because generally, they’re able to find 2 to 4 retail customers in that time slot. I don’t know anyone that, if they’re actually doing the business, can’t find 4 customers in 2 months’ time. Even if it took them longer, there is nothing financially or legally egregious about this small order, that also gives them access to further commissions. And it is exactly this legal argument that the largest network marketing companies in the world are now fighting back to the regulators. Out of the top 20 MLM companies, at least 15 of them have some section of their compensation that increases with a one-time larger order. That’s a lot of lawyers, and one of their points they make is that many business models, including franchises, offer higher commissions if the owner purchases more stores, more stock, more first-of-the-month specials. The FTC calls this “pay-to-play.” Businesses worldwide call this common sense. But you make a good point, Oz: the FTC is looking at trying to regulate this aspect of network marketing. And at the end of the day, everyone has to choose their battles (you should see the ones I avoid). Me, I’m voting on the abilities that $30+ Billion in top company sales can push back with room of attorneys. Bill Ackerman lost his bet, and I think the FTC will lose on this point, too. Alphay is likely operating company-wide as a product-based pyramid scheme with little to no retail activity taking place. I don’t know any of my Distributors who doesn’t have customers and local retail sales. That’s simply not true, and as this is a fact-finding website, it’s an important point to verify. So they’ve made it even more ridiculous since I published the review in June, 2016? If 5000 GV meant the majority of affiliates would qualify through self-purchase, 50,000 guarantees nobody in Alphay is binary qualifying through rank. Most of an Alphay’s commissions comes from the unilevel, not the binary. That doesn’t justify the ridiculous pay to play tilt binary qualification has. There’s no money to be made in a binary because there’s no large first order. There is if people are paying to play to qualify for binary commissions, which Alphay’s compensation plan all but encourages. There is no connection between choosing a start Pack of products and choosing whether to be on monthly autoship or not. One does not have any bearing on the other. Of course it does. This isn’t some random design on Alphay’s behalf. By conditioning affiliates to pay for commission qualification initially they all but guarantee the behavior will continue via autoship. Pre-purchasing 4 bottles during one order in the first 8 weeks (allowing them to sell it at retail locally) gives a Distributor access to binary commissions. Which is pay to play, an MLM regulatory compliance issue. And it is exactly this legal argument that the largest network marketing companies in the world are now fighting back to the regulators. I’m sorry, what? The two most recent busts Vemma and Herbalife both settled and agreed to stop running pyramid schemes. Which MLM companies are fighting regulators to legalize pyramid schemes? Out of the top 20 MLM companies, at least 15 of them have some section of their compensation that increases with a one-time larger order. “Everybody else is doing it” does not justify pay to play pyramid fraud. No it isn’t, because a grocery store is not an MLM business opportunity in which the majority of participants lose money. Ditto banks. If you wish to discuss grocery stores, banks or any other non-MLM business – do it elsewhere. An MLM company operating as a pyramid scheme because it failed to adequately incorporate retail volume in their compensation plan is entirely responsible for its business model. Stop making excuses for pyramid fraud. I don’t know any of my Distributors who doesn’t have customers and local retail sales. Anecdotal evidence does not change the fact that Alphay primarily rewards affiliates who buy in and continue to qualify for commissions each month with a 50 PV or more autoship. Affiliate purchases are not retail sales. Your mention of an affiliate “pre-purchasing” product and then retailing shows you have a flawed understanding of what retail in MLM is. Both Vemma and Herbalife tried to excuse pyramid fraud with the “affiliate purchase resale = retail sales” argument. Both didn’t feel confident taking the matter to court and settled. Your feelings are strong on this, and I hear your point: you believe Alphay is pyramid fraud. If that is the case, Alphay won’t be here in a year or two with this plan and your point is right. If we are here in 2 or 5 years with this plan, then Alphay is not pyramid fraud. Let’s check back with each other then. I do wish you and BehindMLM much success. Feelings have nothing to do with it. Facts are facts. If we are here in 2 or 5 years with this plan, then Alphay is not pyramid fraud. Pyramid schemes survive as long as new affiliates are recruited. A fixed time period has nothing to do with it. Best of luck with the pyramid recruitment. Scott Ohlgren: I don’t know any of my Distributors who doesn’t have customers and local retail sales. A company produces one or two distributors who operate legitimately, and that negates any evidence of illegality ??? Your ignorance is not fact. It is LACK of fact. Of that number how many do you “know” intimately enough to be able to describe their business practices with any accuracy ?? ?